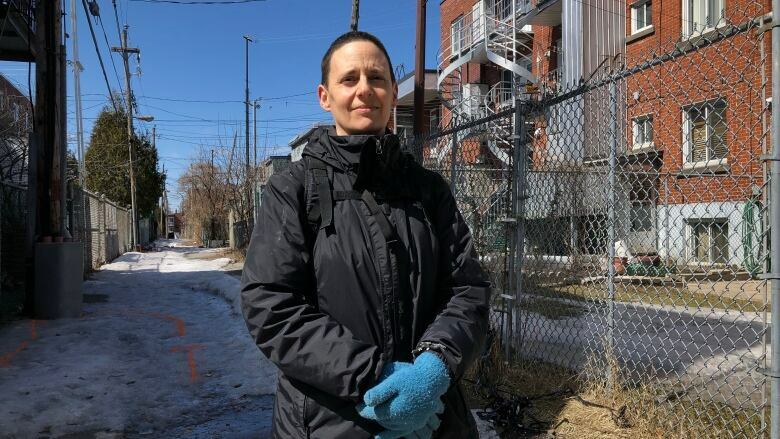 Mary Antico says soaring rents in a low income neighbourhood that's being drastically altered by the new Université de Montréal campus nearby has made it difficult for her to even find an apartment to look at. In the six years Mary Antico has lived in her Parc Ex apartment, she and her two sons have grown deep roots in the community. Now, she might have to leave the neighbourhood because of how difficult it is to find an apartment. She built a garden for herself and her neighbours in the backyard and found services for her youngest son, who has a severe developmental disability. "Parc Ex is what allowed me to make everything work," Antico said. "It's extremely destabilizing to realize that you're going to lose your home." 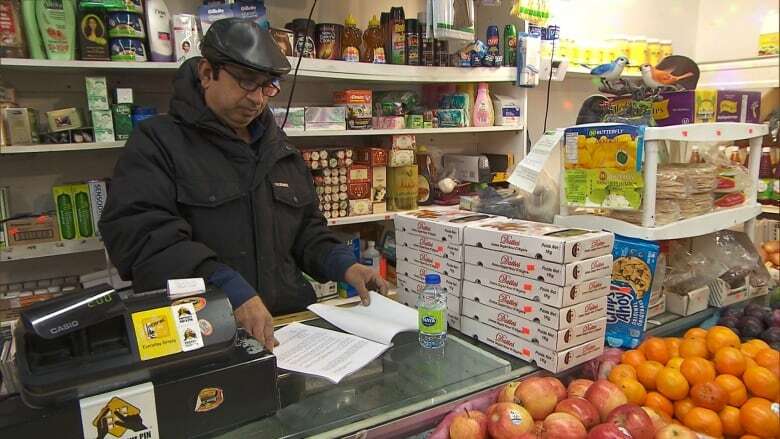 More and more people in Montreal's lowest income neighbourhood have found themselves in Antico's situation: with a repossession notice from their landlord and no affordable place to go. At 1.9 per cent, the vacancy rate across Montreal is lower than it's been since the housing crisis of the early 2000s, and with the construction of the new Université de Montréal campus just across the tracks in Outremont, property values in Parc Ex are soaring. Antico has had a hard time even getting an apartment viewing in her neighbourhood. "It seems that every time anybody announces [a vacant apartment], they're just like hit with 50 people calling their phone off the hook," she said. On Wednesday, the Quebec government tabled Bill 16, proposed housing reforms meant to address the needs of tenants and property owners. It's promised to inject $44 million in new affordable housing in Montreal. 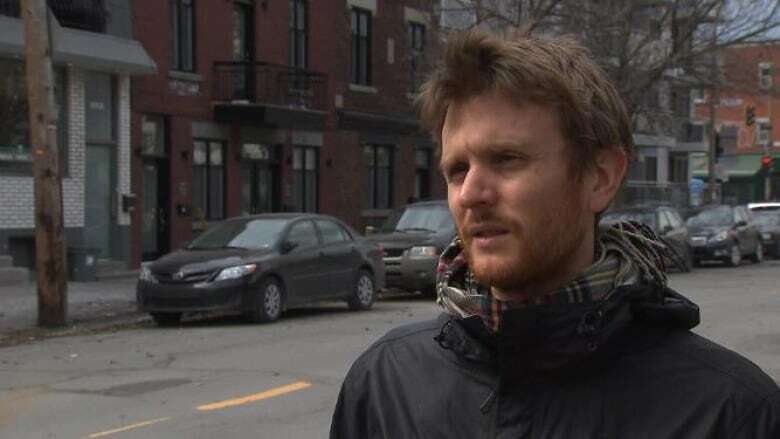 However, tenants' rights activists at the Regroupement des comités logement et associations de locataires du Québec (RCLALQ) say that won't be nearly enough to curb the crisis in neighbourhoods like Parc Ex. "When there is a housing shortage, there is more discrimination," said RCLALQ spokesperson Maxime Roy-Allard. The government plans to overhaul the Quebec rental board, the Régie du Logement, renaming it the Quebec administrative housing tribunal. Roy-Allard said those sorts of changes are merely "technical" and intended more for lawyers than for tenants. "We need a court that works, one that tenants want to make use of," he said. Antico has already fought off one repossession notice. With the help of a local community organization, she was able to prove her last landlord was creating a pretext to take the place over. But this time, the new landlord's reasons are legal. "I'm looking for a place and it's very, very difficult. The competition is just ferocious," she said. Antico says she's in a tough spot — but she's worried about other tenants, who might be even less well-equipped to deal with the system. Parc Ex consistently ranks as the poorest neighbourhood in Montreal and one of the poorest in Canada. Most residents are new immigrants: nearly 80 per cent of the population has a mother tongue that is neither French nor English, according to a 2016 report by the non-governmental funding agency, Centraide. More than half of the recent immigrants come from South Asian countries such as India, Sri Lanka, Pakistan and Bangladesh. "There are a lot of people in the neighbourhood that are going to have an even harder time than myself," Antico said. "What I feel is that other people don't seem to realize how important having roots in a community is — for everybody — but including people that are marginalized and vulnerable and poor." André Trépanier, a community worker who helped Antico fight her first repossession notice, blames all three levels of government for being too slow to build more long-promised social housing. "We are very worried that in the next year Parc Ex won't be the Parc Ex as we knew it before," said Trépanier, who works for the Comité d'action de Parc-Extension. Still, Antico says she's hopeful. She visited an apartment Thursday morning, and though she said it's not as nice as her current home, at least it's still in Park Ex.